I can’t tell you how many toys Lacie has. 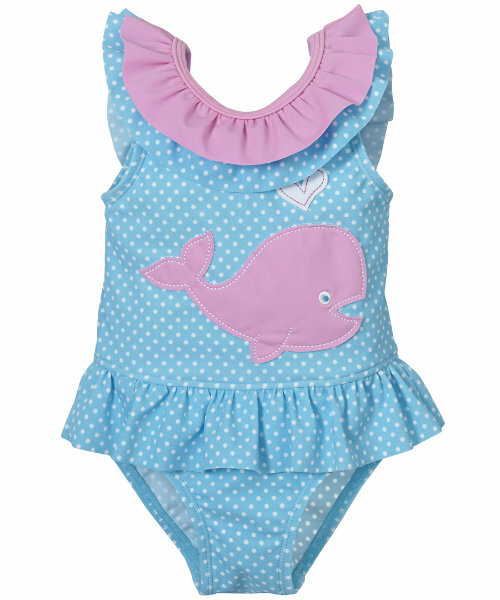 It’s not been intentional but she gets hand-me-downs from her cousins, then gifts here and there from her grandparents – and from me too. It’s so hard to resist,when you just want to keep them stimulated and keep their little minds challenged. Guess what though? I should of brought her some building blocks a LONG time ago. We recently went to a soft play centre and no joke, she sat on the floor for hours with some building bricks. Sod the slides, the racing track, the ball pit and the wendy house, she was super happy just putting bricks together, then taking them apart and then putting them together again. Who would of thought? So with that, I would like to welcome you to the newest addition to the toy collection, a Mega Bloks First Builders Big Building Bag. If you haven’t heard of Mega Bloks before they are big blocks for little hands to build and create. I was sent a Big Building Bag of blocks – and thought, what better way to test out these products than after bath time, whilst we wait for Daddy to get home. The time, I usually resort to ‘In The Night Garden’. And guess what? The TV didn’t go on once that evening and I managed to cook dinner without a toddler wrapped around my legs (can you imagine!?). My husband was impressed that dinner was on the table when he got home and I was impressed that Lacie was super happy to play on the floor and create colourful towers and colour-coded her creations. I challenged her to go all green for one, and all yellow for another. A great way to learn her colours eh? I found the Mega Bloks really strong and durable, and exceptionally easy for Lacies’ hands to grab and maneuver. 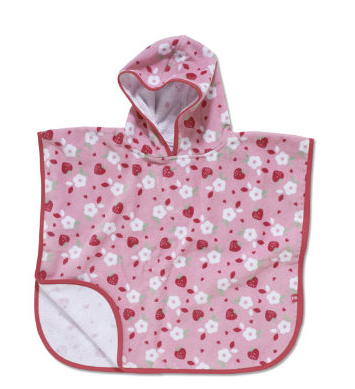 I also love the bright primary colours and the bag they come in – again, it’s great for encouraging them to tidy up and count as you put them in….1, 2, 3, 7, 9, 10. We’ll get there! The Mega Bloks First Builders Big Building Bag is ideal for ages one and up and features 60 First Builders blocks. 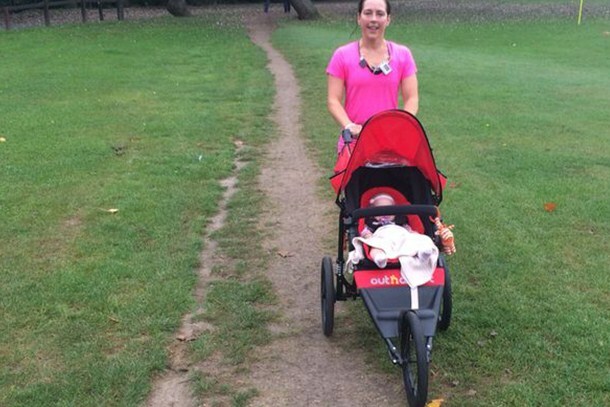 Since being a mum, life feels like it’s going 1000 miles an hour. When Lacie was first born, my diet was so important. My milk needed to be as high quality as possible, so I was very strict about eating plenty of good protein, good fats and vegetables. Don’t get me wrong, I’m still strict about eating these good foods but my Sunday night food prep sessions are all about making Lacie the best food possible for the week ahead. Think sweet potato muffins, chicken and avocado wraps, banana, avocado, spinach and chia seed porridge and quinoa concoctions. It’s all about getting the right nutrients into Lacie so she’s happy, healthy and benefiting from stable blood sugar levels. Sweet potato, strawberries and spinach with coconut. Sounds yuk – but boy, she likes it! So how about me? I’m all for convenience. Protein bars or shakes tend to be my staple breakfast right now (which still ends up being 10:30ish no matter how organised I am!!) pre-cooked and marinated chicken with ready prepared salad bowls for lunch and some CO YO and Paleo Granola or chopped fruit for my afternoon pick me up. I always cook a dinner though, which I eat with Lacie. That tends to be some sort of protein dish with vegetables and salad. Last night for example was salmon with pesto and roasted vegetables. She’ll sit in the kitchen with me whilst I prepare it and we chat and sing. It’s one of my favourite times of day! It doesn’t take long to prepare but I let her try things like pepper sticks and cucumber slices as I chop. I do love the kitchen, and I do miss the kitchen. I have so many recipes (check this sugar-free banana bread out!!) stored on my phone that i would love to bake – but these will have to wait until I have a few hours to play around in the kitchen, which doesn’t happen that often. Right now, it’s all about building good habits for Lacie and giving her a taste of all the good foods out there whilst she doesn’t know any different. I’m hoping she’ll get a taste for these foods and they will be her go to foods for the rest of her life. We’ll see. 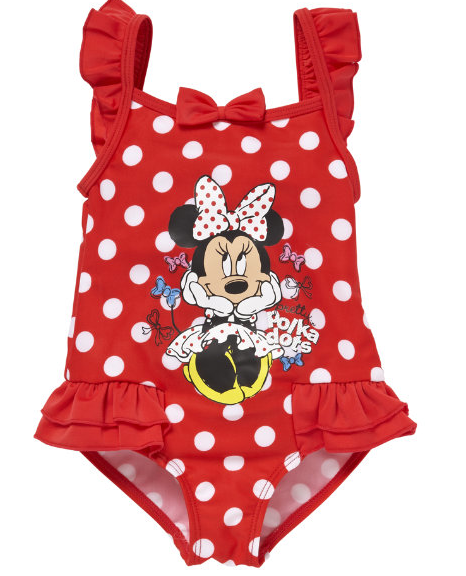 I’m fully aware that there will be parties to go too, and day trips out with Nannies and Nannas! As for me. I’ll carry on eating my meals with either one hand or really quickly (I’m always in demand!) It’s not forever and as long as I have the right fuel inside me to keep doing a good job as a mother then that’s a that matters. It makes me really appreciate food when I do go out for a nice meal or manage to cook something special. 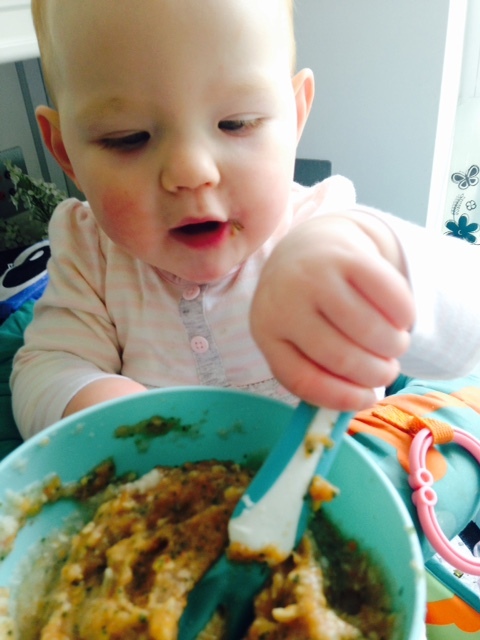 What do other mums do when it comes to eating around their little ones? I would love to know! 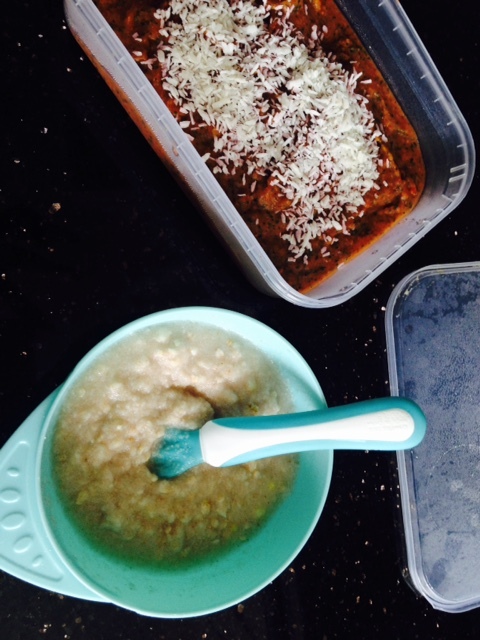 I’m off to go and enjoy a chilli with some cauliflower rice. Last month, my review for the Nuna Pipa carseat was published on Made For Mums, a fast-growing online community where all parents and parents-to-be can share info, support, fun stuff and friends. 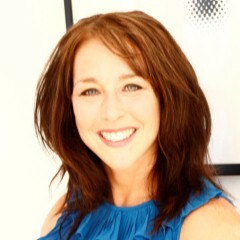 I feel so privileged to part of a great site, and just love reviewing all these amazing products. 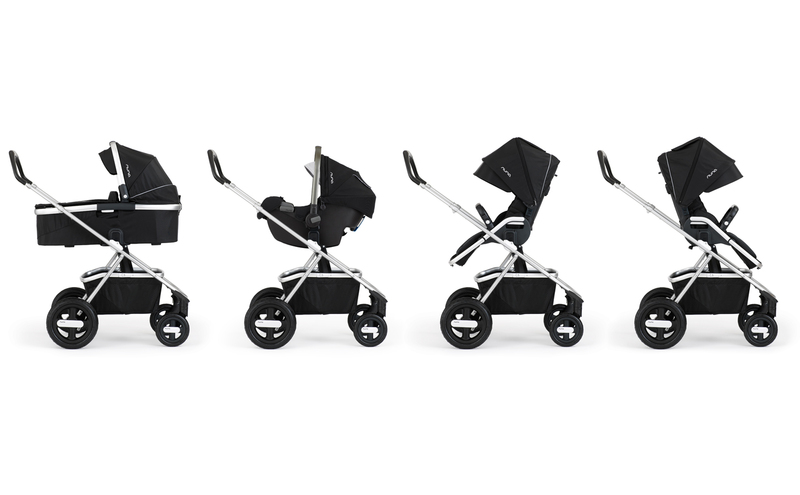 The Nuna IVVI, is a luxury pushchair system and has been designed exclusively for Kiddicare. The best thing about it is that all components are sold separately, which is great if you are short on space and don’t want to have to store something that you may not need or use for the time-being. 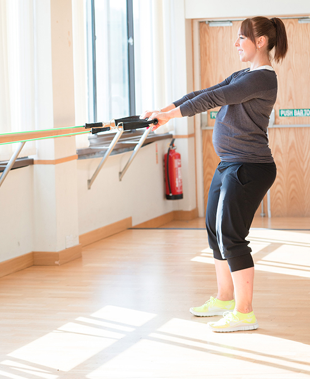 With its space-age looks, the Nuna IVVI is practical and simple to use. I tested this with my 3-month-old daughter, Lacie. It’s pretty expensive too. 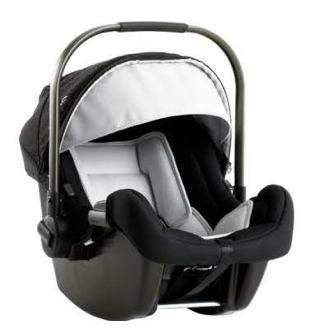 At £600 for just the pushchair, you’ll also need to fork out for a footmuff in the winter, which retails at £70, the (see review: http://www.madeformums.com/reviews/car-seats/from-birth/nuna-pipa/review/1617.html) carrycot which is £200 and if required the Pipa carseat , which is £150 and comes with adapters that fit on the pushchair’s frame, again very easily. So I’ve written myself a plan of action of what I will be eating over the next few weeks. I’ve decided that little and often works best for us….here is the plan. 7:30pm Chopped apple with cinnamon and almond butter. I really love the Sunwarrior protein as it tastes like chocolate and sorts out my cravings, which always tend to pop up in the afternoon. It’s really tasty with the banana too and the coconut milk makes it really creamy. 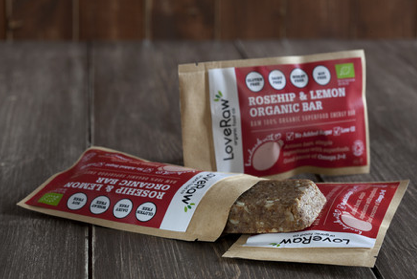 * LoveRaw Superfood Energy Bar. They come in various flavours – my fav being Rosehip and Lemon. It’s really tangy and has no added sugar, grains or dairy. 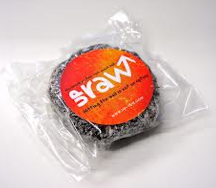 * UpRaw Bars – they are high protein and are made with wide array of wholesome ingredients such as walnuts, whey protein powder, desiccated coconut, honey and cocoa powder. Again these are wheat, dairy and sugar-free and really chocolatey. 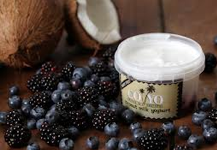 * CO YO – a coconut milk yogurt that is vegan, sugar-free, dairy free and soy-free. It’s super creamy and tastes wonderful with raspberries and banana with a few sliced nuts on top. 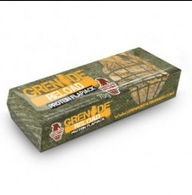 * Grenade® Reload Protein Flapjacks – again a protein rich snack that is satisfies my sweet tooth with any nasty refined sugars. I find this really dense and filling – so sometimes I can only have half – depending on how hungry I actually am. You may have noticed that all of these snacks are high in protein. This is because foods rich in protein take longer to digest and do not cause a high spike in your blood glucose levels like carbs can. The amino acids that make up protein are also the building blocks of your body’s cells – and of your baby’s body as well. 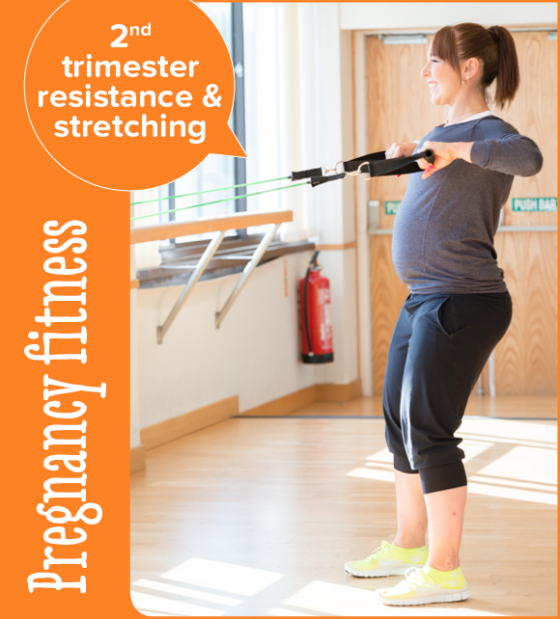 It’s vital that we get enough protein throughout pregnancy, especially during the second and third trimesters, when your baby is growing the fastest and your breasts and organs are getting bigger to accommodate the needs of your growing baby.